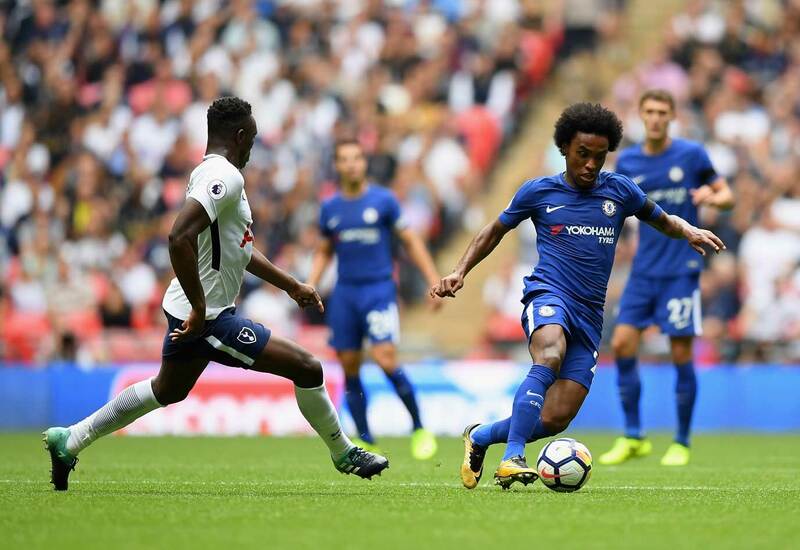 Chelsea return to action after the international break when they make the trip to Wembley to face Tottenham in the Saturday tea time kickoff. With the story lines of the UEFA Nations League done for time being, attentions can be turned towards the Premier League for a match that is important to both sides. So far this season, a mini-league has formed with the top 5 clubs, potentially top 6 if Manchester United put together a run of form. Teams within the top 5 haven’t been dropping very many points to teams outside of those league positions, so teams like Tottenham and Chelsea can’t really afford to drop many points to their rivals in those league positions. Case in point, despite having not lost a competitive match this season, Community Shield aside, Chelsea sit just 1 point above Tottenham in the table. It makes Saturday’s match vitally important not only in terms of league position, but for other reasons as well. For Chelsea and Maurizio Sarri, their record against the other teams currently in the top 5 reads one win and one draw. Chelsea’s one win was against Arsenal in the second week of the season at Stamford Bridge that produced both thrilling attacking play and woeful defensive plays, and Chelsea’s one draw was at home to Liverpool. The Blues also drew at home to Manchester United. Questions have been asked about Sarri’s Chelsea being able to deliver wins against their rivals, and a win on Saturday would go a long way to answer some of those questions. For Tottenham, Mauricio Pochettino could also do with a home win against another top Premier League team. Defeats to Liverpool and both Manchester clubs at Wembley are a set-back for a team that over the past two seasons has shown enough consistency to have people believe they can win a Premier League title. However, Pochettino’s had a number of challenges this season, particularly on the injury front. World Cup fatigue and lack of new signings over the summer has limited Pochettino’s team selection lately, and for Saturday’s match, he’ll be waiting on the fitness of Davinson Sanchez and Kieran Trippier, the latter having limped off with a muscle injury just before the international break. Jan Vertonghen could make his return from injury on Saturday, but his Belgian counterpart Mousa Dembele remains out with injury. More importantly, his squad as a whole have lacked that little bit of spark that they’ve had in recent years. A number of their players went deep into the World Cup and without any new signings in the summer, a lot of those players were rushed back with very little break. Spurs have managed to grind out results as of late, but it could be argued that they’ve been quite fortunate in recent weeks to Wolverhampton Wanderers and Crystal Palace, and with a huge match on Wednesday against Inter Milan set to determine their Champions League fate, Pochettino’s team selection on Saturday could be interesting. Meanwhile, Chelsea have already qualified from their Europa League group and can focus on Saturday’s match without having to worry as much about Thursday’s match against PAOK. A few players returned back late from international duty, but aside from a small injury to Mateo Kovacic and a bit of fatigue for Jorginho, Chelsea’s squad should be at full strength to face Spurs on Saturday.